IN 2017 . . .
ISPU addressed 24 challenges with 11 research projects. We partnered with 108 experts to conduct research and provide thought leadership. 99% of those we surveyed found ISPU research to be relevant. ISPU directly reached more than 5,900 people through 47 events, and connected regularly with over 25,000 people online. Our research appeared in the media on more than 450 occasions, reaching millions of people. We increased our social media presence by 26%, which resulted in 3.8 million impressions. ISPU connected 965 national, state and local policymakers and community leaders with new resources and information, impacting the lives of millions of Americans. 100% of those we surveyed said they planned to use ISPU research in their daily lives. 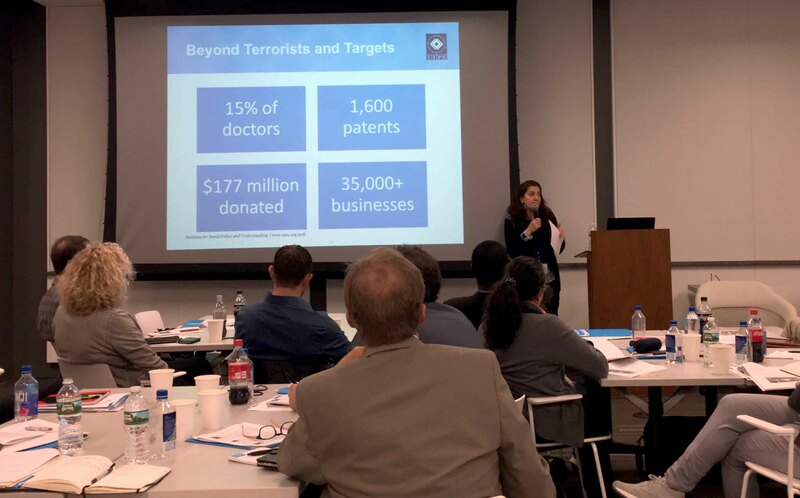 ON MAY 1, Executive Director Meira Neggaz spoke to a group of about 30 local German leaders who are on the Welcoming Communities Transatlantic Exchange (WCTE). ISPU helped the group learn more about the American Muslim community, the challenges faced by American Muslims, and ways to address these challenges, helpful data points that these leaders can use in their home communities as they work to integrate immigrants, welcome refugees, and strengthen social cohesion. 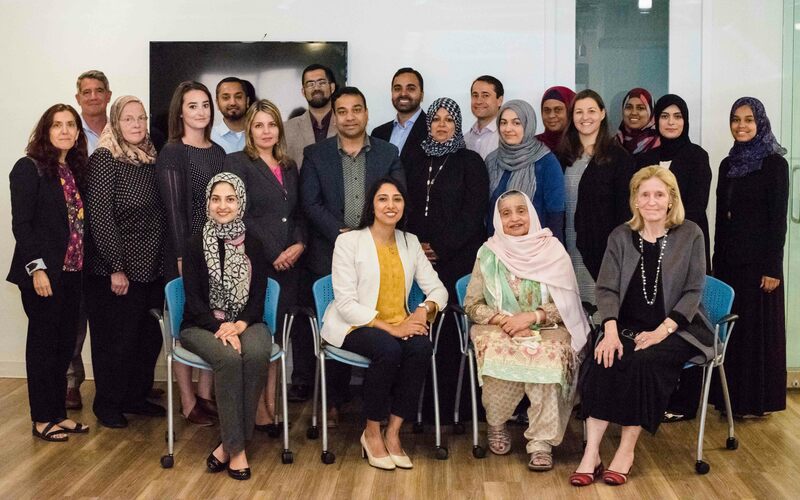 ON JUNE 15, we were honored to host a panel discussion with a selection of individuals from our Muslims for American Progress (MAP) project at Bank Suey, a community space in the heart of Hamtramck, Michigan. Imam Saleem Khalid, one of the panel members, perfectly conveyed the importance of MAP in one of his most pertinent comments: “If we don’t make it a point to look beyond the confines of our own comfort, and develop a concern and an awareness of what is going on around us, then all of us will share in the pain that this lack of concern ultimately breeds.” For more insights, you can watch the discussion here. 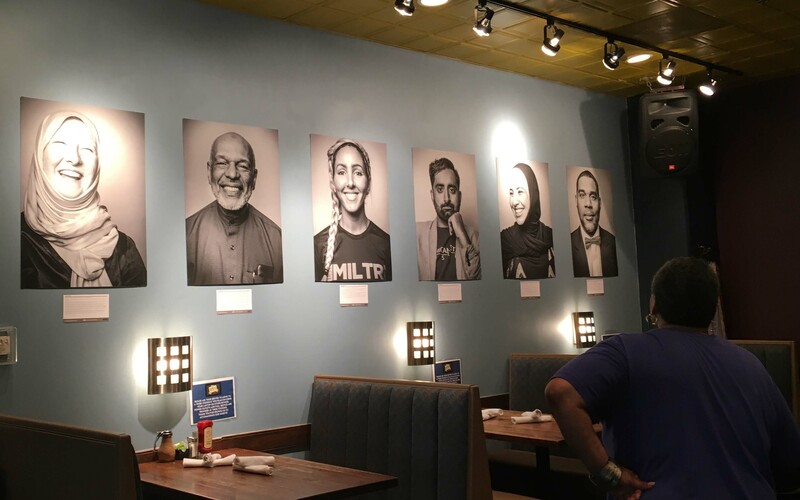 IN JULY, we installed Muslims for American Progress (MAP) exhibits in four Busboys and Poets locations in the Washington, DC, area. The exhibition will run through November. 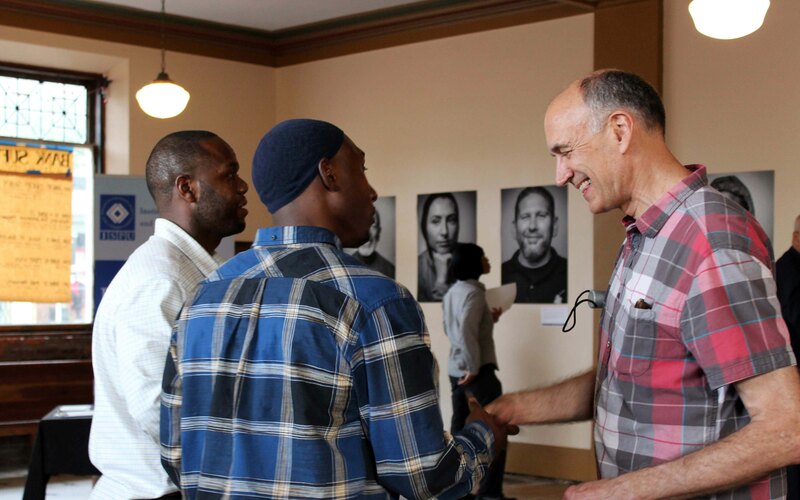 If you’d like to grab a bite to eat and view our exhibition, you can visit the cafés on 14th & V St. in Washington, DC; Shirlington, VA; Hyattsville, MD; and Takoma Park. 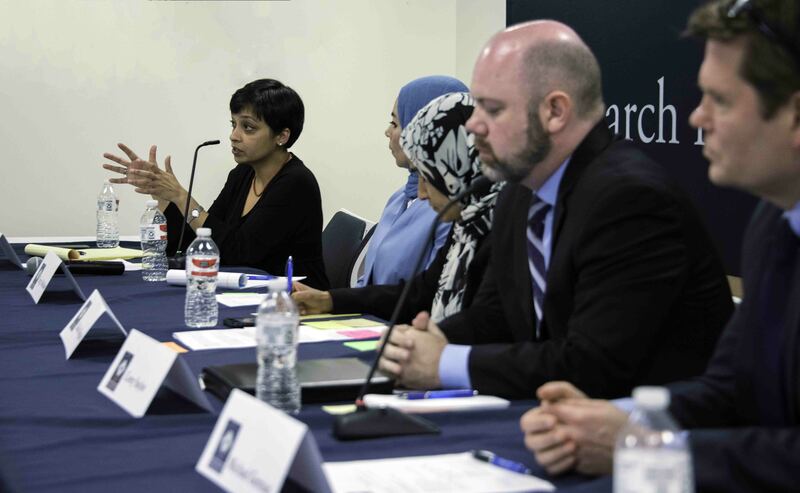 ON JULY 25, ISPU—in partnership with the John Templeton Foundation—brought together expert educators, curriculum developers, school administrators, researchers, and other practitioners for a convening focused on how weekend Islamic schools could help build character and critical thinking skills in young Muslims. 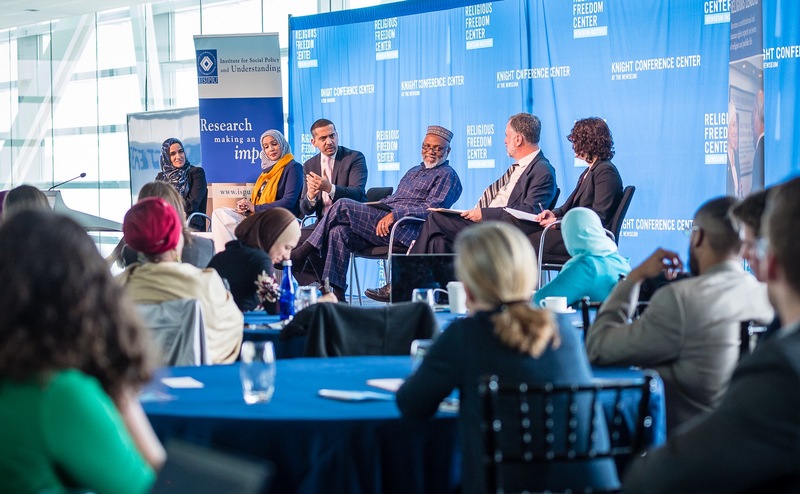 The end product of this convening and the report which will follow will be a set of recommendations that aim to assist educators, foundations, and others in knowing how best to support Islamic schools. 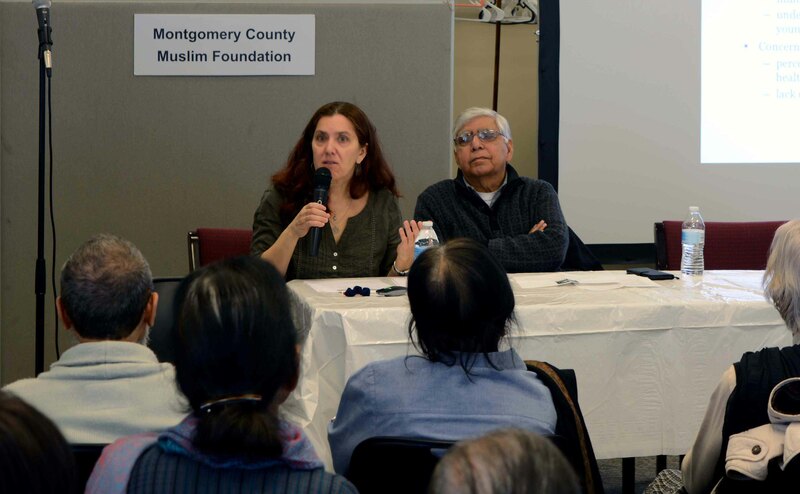 ON SEPTEMBER 22, ISPU organized a panel discussion about Muslim Social Services at the Muslim Community of Western Suburbs (MCWS) in Canton, Michigan. 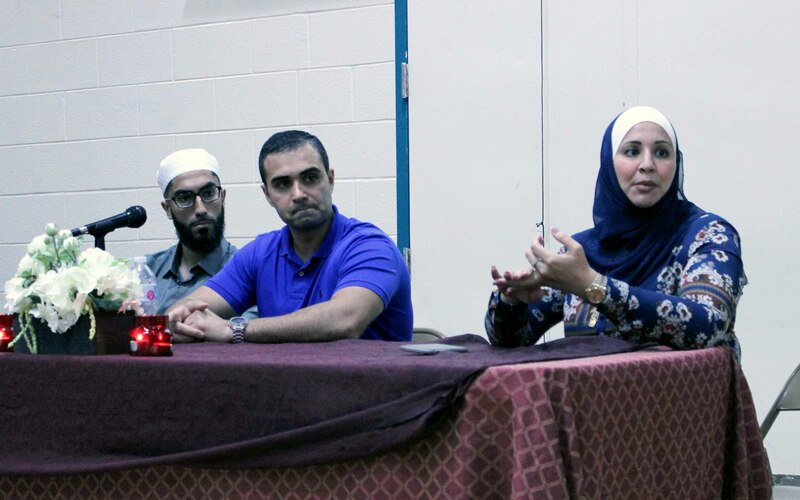 We invited HUDA Clinic’s Ghufraan Akram and HYPE Athletics’ Ali Sayed and Suehaila Amen to discuss how their organizations are tending to both the short- and long-term needs of those in need. Click through the circles above to view different events. SINCE 2002, ISPU HAS PRODUCED . . .